BC Parks is committed to authentically engaging young people in the stewardship of BC’s parks and protected areas. Through the following collaborative projects, BC Parks has several different opportunities for youth to get involved! Get Outside BC is a collaborative youth leadership project that aims to strengthen youth attachment to British Columbia’s wilderness by empowering young leaders across the province. The project is a collaborative effort between CPAWS-BC, BC Parks, Mountain Equipment Co-op and Child and Nature Alliance of Canada. The purpose of the project is to connect youth to the outdoors in a meaningful and sustainable way by giving them a sense of purpose and the capacity to inspire others to spend more time in the outdoors. The goal of the project is to provide both a gateway experience for youth engagement with BC's outdoors and subsequent opportunities for engagement through youth-led follow-up events and the creation of a supportive youth network of natural leaders. Rather than providing a one-time experience, Get Outside BC aims to provide youth with the tools and resources to develop an enduring connection to the outdoors and a lifelong identity as a natural leader. Click here to find out more and to watch a great video about the project! BC Parks has partnered with Capital Regional District Parks, Sierra Club of BC, and the Boys and Girls Club to pilot an initiative aimed at empowering young people to take an active role in connecting their communities to parks. The Youth In Parks team is a group of high school aged youth (ages 13-18) who live in the Capital Regional District/ Southern Vancouver Island and love the outdoors. The team meets monthly to learn skills and share their passion for parks by creating community events and initiatives. 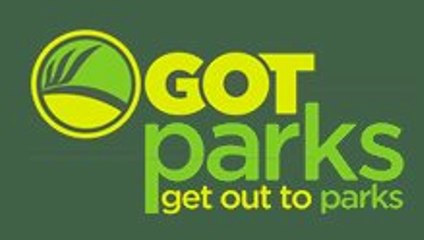 Hosted by the Canadian Parks Council and the Child and Nature Alliance of Canada, the Get Out to Parks (GOT Parks) site is an online community of young Canadians with a passion for parks. Check out the site to find great park programs, job opportunities, and more! You can also join the conversation and share your own park stories! Go to www.gotparks.ca for more info!